Thanks again Neal, for installing my splitters & fixing my lights the following day! Amazing service, again I highly reccomend anyone who needs help with installations to go to TheRacersLine. Super friendly, pays attention to detail, and gets the job done right away! Neal has been working on my car since 2014 and I've had the honor to watch him grow his business from a small garage in Santa Rosa to his own shop in Concord. The biggest reason for me coming back to Neal time and time again is trust. He's a mechanic you can trust not to upsell you on useless mods or services and his expertise on the 86 platform is unmatched. Over the years, Neal has helped prep my car to be a fun street and track car, building it up with the essentials. I told him what I wanted to do with the car and we planned a list of mods that would make the car better, and not ruin it. He has actually talked me out of several mods that would have made the car less pleasant to drive on the street, which I appreciate. 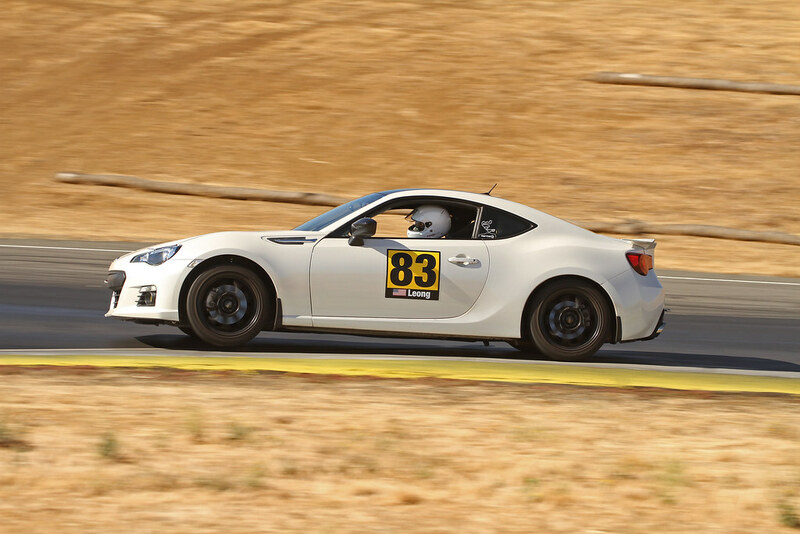 Most recently, I experienced an axle seal leak after tracking my BRZ at Thunderhill West. The seal had turned oval and was letting differential fluid leak out. Neal diagnosed the problem and fixed it for me in no time. 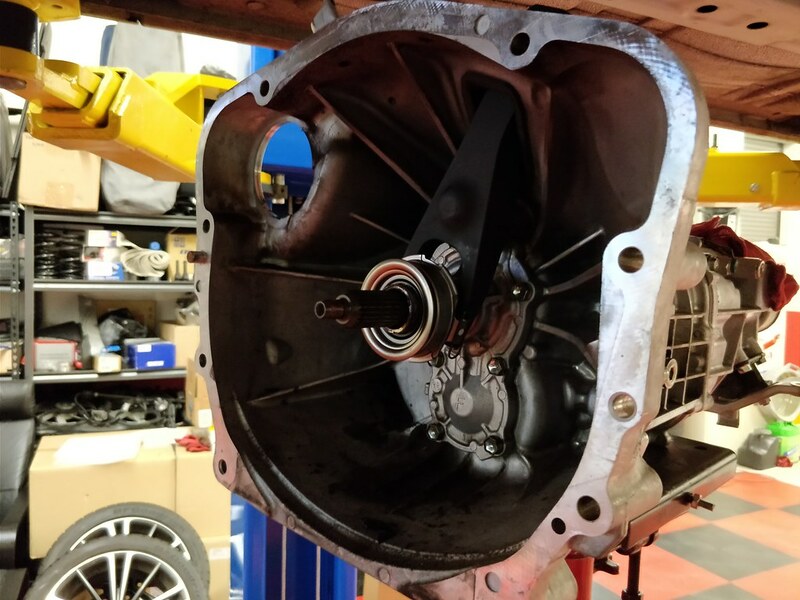 He also noticed that my throw out bearing was about to go and helped me replace it with a 2017 throw out bearing and upgraded Verus forged clutch fork. Neal continues to be the only mechanic I take my car to because I trust him. I value his expertise, honesty, and work ethic. If you have an FRS/BRZ/86, he's the one you should go to for work. I've taken my car to Neal at The Racers Line a couple times now. First a few weeks ago to get a cat back exhaust installed, and then again today for some more extensive work. Spent a few hours there today getting an APR Performance front air dam, APR side skirts, Velox front wheel deflectors, Gorilla mud flaps, and clear JDM side markers installed. In addition, Neal custom-made and installed a mesh grille for me, complete with a hole for the tow hook. Quality work and a comfortable atmosphere make it well worth the drive to The Racers Line. I can also attest Neal does exellent work, any issues or service with my car no question I look to bring it to the racers line first. Also that grill looks exellent! Hey, I'm the guy who was getting the Delicious ACE Tune. I didn't introduce myself, but my name is Scott. I love the look of your car and can't agree more about how amazing Neal is. In addition, Neal custom-made and installed a mesh grille for me, complete with a hole for the tow hook. That front grille looks clean! Should've hit that front crash bar with some black pain tho. Not planning to part with it immediately, but if I ever decide to I'll be sure to get in touch with you to see if you're still looking. I like the way the crash bar looks here, makes the grille stand out more. If it was painted black that section of the grille might blend in. Kudo's to Mr, Wiebmer...Thanks again for superb service !!! You can try, get a sheet of mesh and bring it to Neal. I'm not sure how it will go on a pre-2017 BRZ though - I hear they changed how the grille is installed. On the 2017 the entire thing just pops out and there are some nice tabs all around the opening for anchoring the mesh to. Might not be as straightforward on earlier model years. Maybe talk it over with Neal first to make sure it will work on your car. I'm not familiar with how it might be able to be installed. This is the mesh I used (flat black version of course). I thought the wide brick pattern was a better look for the car than most other styles and it's a very open pattern for good air flow. Looks great...agree on the black paint for behind the grill...or at least put something black behind it to see how it would look first. Got anymore pics to share? What do the front wheel deflectors look like? I'll see if I can get a pic of the deflectors in the morning, don't think I have any yet.